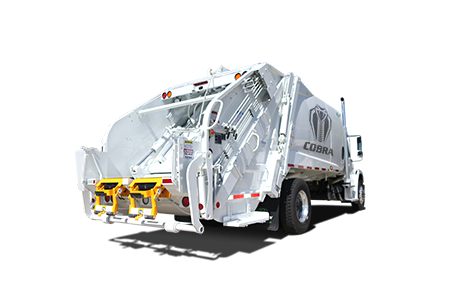 New Way's full line of rear-loaders far exceeds what customers have come to expect in this style refuse truck. 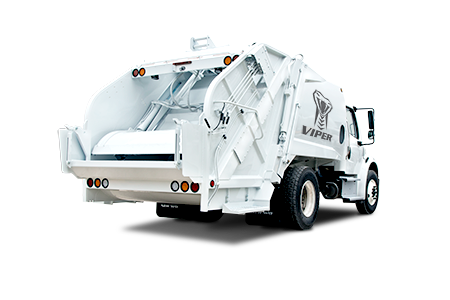 With a model to fit the needs of any size waste management operation, each garbage truck is designed for trash compaction, durability, quality and productivity that sets a high bar in industry standards. All are backed by New Way's exceptional customer service. The reliability, superior strength and ease of maintenance of the New Way® line of rear loader trucks is based on an engineering approach that focuses on simplicity. 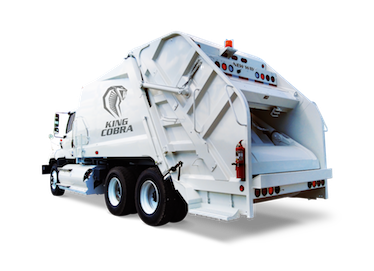 This design simplicity means less wear and tear on critical parts, easy access during operation and maintenance, and quality raw materials that lay the groundwork for a strong and durable refuse packer. New Way® also offers customization options for manual and semi-manual compaction with a variety of attachments and accessories to meet your needs. 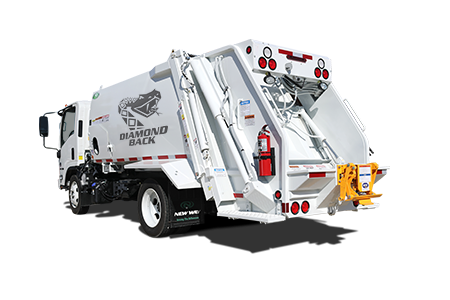 As with all other New Way® garbage trucks, each rear loader comes standard with a rear-vision camera and a two-year cylinder warranty. 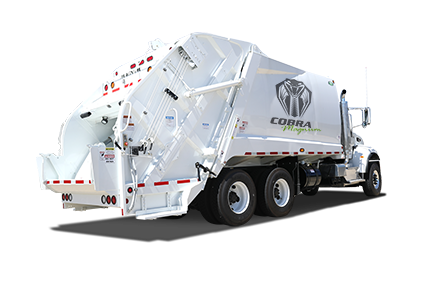 View our complete family of refuse trucks, and pick your line of attack from the: King Cobra, Cobra Magnum, Cobra, Viper and Diamondback. Biggest rear loader in the industry. Ultra-high compaction and fast cycling. Fast cycling and easy maintenance.